A New Sound!! The Nuevo Chorinho!! The LGEM Trio has turned its attention to the beautiful and historic choro music of Brazil. Canadian-born flutist Robert David Billington with a Doctorate of Musical Arts degree in flute performance, Peruvian-born virtuoso guitarist Roger Bustamante, and Colombian-born MIDI percussionist Edwin Guerra perform a synthesis of different styles - Brazilian, classical, Hispanic, and jazz - to imbue the venerable chorinho with a new vitality and depth of emotion. For over a decade, the LGEM Ensembles have treated South Florida audiences to delightful interpretations of the pop music of the Americas - specializing in the music of the Andes, Peru, and Brazil. Due to the diversity of personnel and repertoire, the LGEM Quintet was selected by the Summit of the Americas to perform for the gala White House reception for the Heads of State of the Western Hemisphere, and their entourages, which was held at the Biltmore Hotel in Coral Gables. 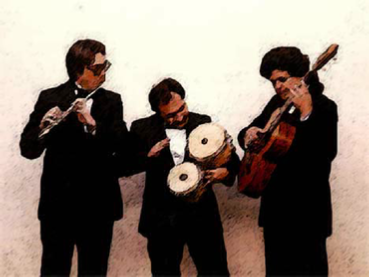 Noted for performing innovative programs of music in several different styles - New Age Andean, Peruvian, Brazilian, and classical/jazz fusion - the LGEM Ensembles have performed as featured entertainers at numerous South Florida festivals, and have presented concerts at numerous venues throughout the South Florida area. These venues have included the Hibel Museum Promenade Concert Series, the Beaux Arts Festival, the Baptist Hospital Artist Showcase, the Art Deco Festival, Concerts at The Falls, the South Miami Art Festival, the Fairchild Tropical Garden Concert Series, the Fairchild Tropical Garden Ramble, Concerts at La Cucina Toscana, the Coral Gables International Festival of Craft Arts, Barnes Park (Metro-Dade Summer Showcase Series), the Miami Beach Festival of the Arts, the 609 Concert Series, the Fort Lauderdale Downtown Festival of the Arts, the NCNB Noontime Concert Series, the First Church of North Miami Concert Series, and Church of San Pedro Concert Series. 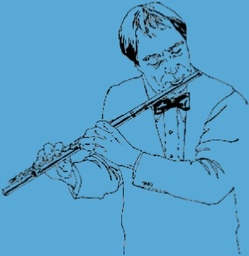 please e-mail Robert D. Billington at rdbflute@lgem.com. You may also call Dr. Billington at 305-669-1754. Online Guitar Lessons - Get tips and lessons to learning the guitar with videos and tabs.